Guests of all ages can now feel what it’s like to be shrunk to the size of a toy and to become literally part of the Toy Story universe in Andy’s backyard. 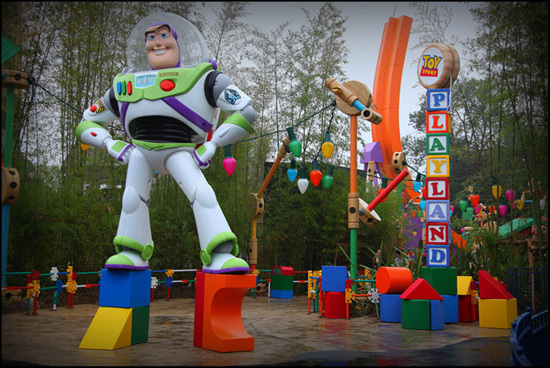 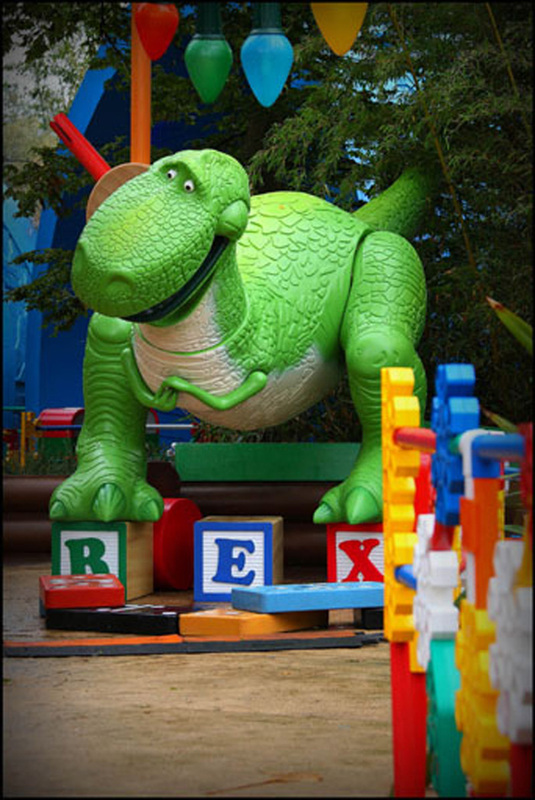 They should be thrilled by the great attention to detail that makes Toy Story Playland a truly larger than life experience. 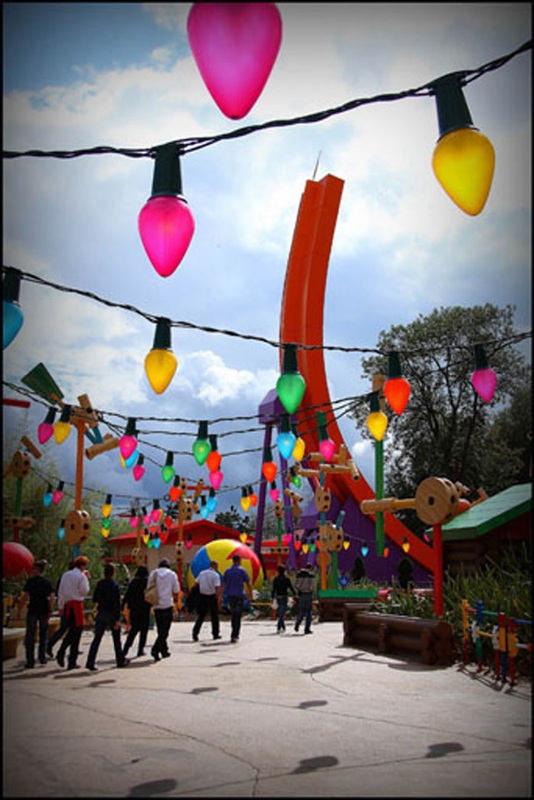 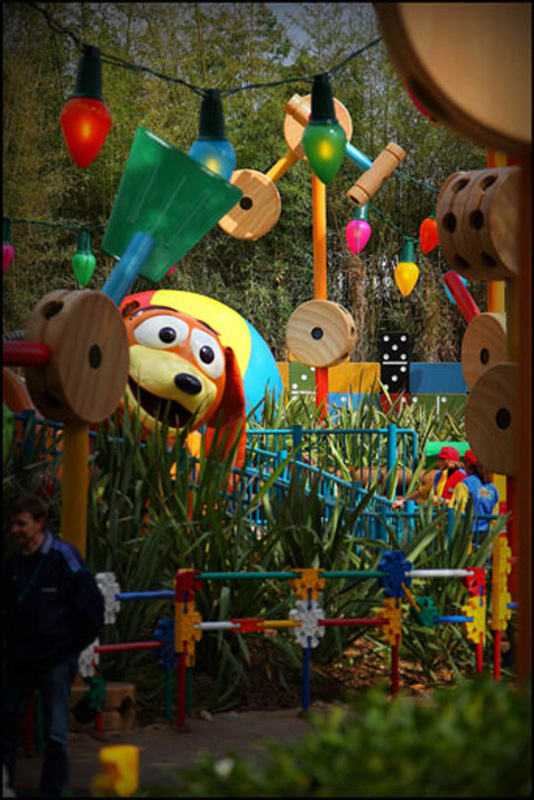 There's three play areas, each featuring an exclusive attraction. 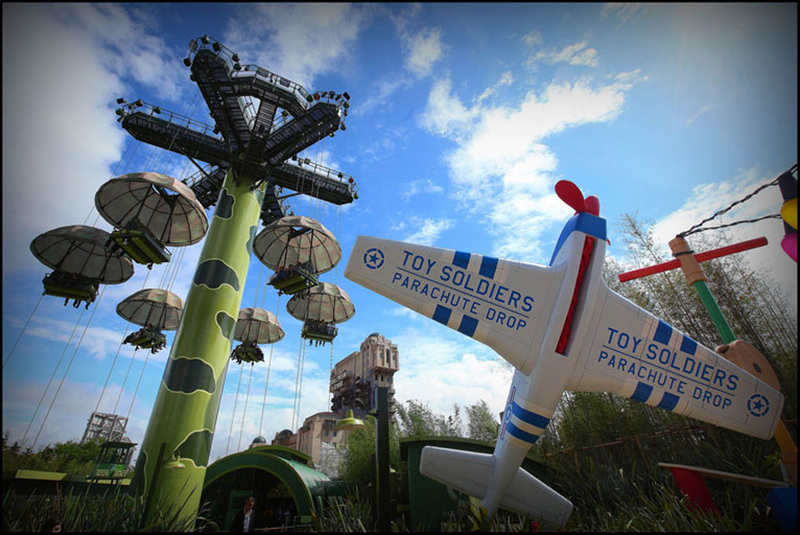 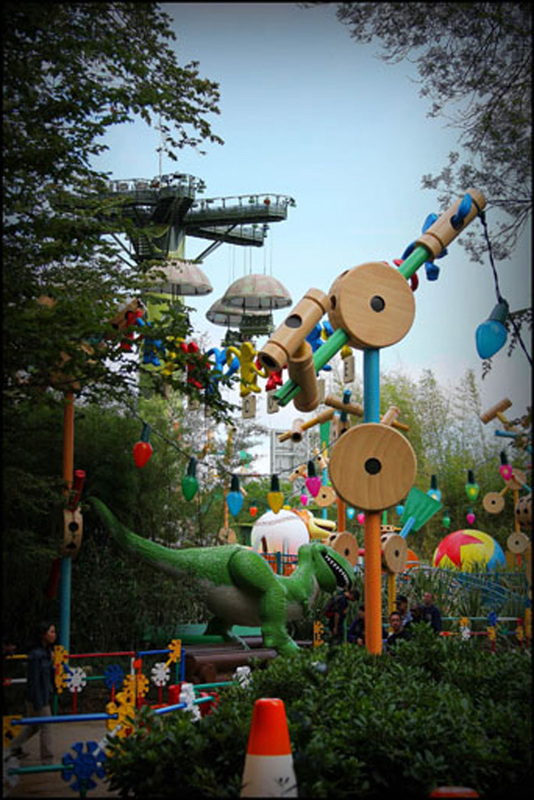 With Toy Soldiers Parachute Drop, Guests are invited to join Andy’s Little Green Army Men in a simulated fall from the sky. 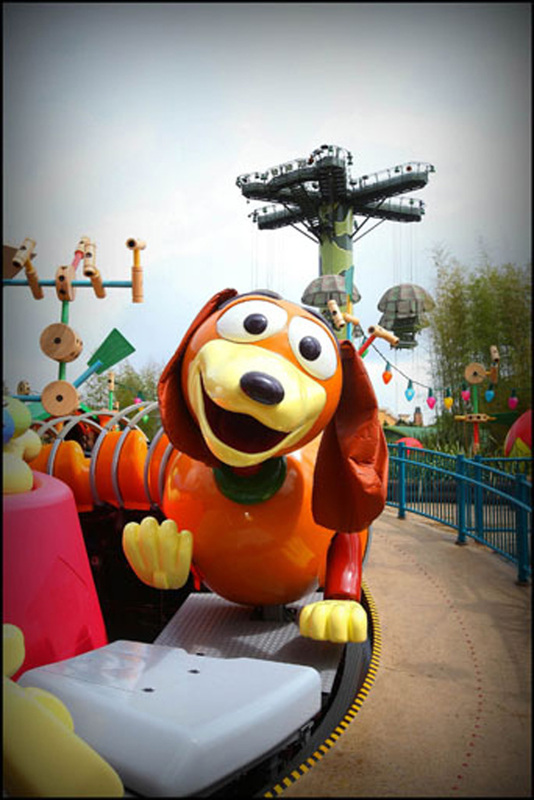 Guests of all ages can climb aboard Slinky Dog on Slinky Dog Zigzag Spin as our four legged friend chases his tail. And in Andy’s most dare-deviling set up, RC Racer will give a feel for what it’s like to zoom along a Hot Wheels half-pipe track.